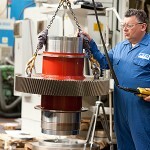 Since 1945 Northern Tool and Gear have been producing high quality gears at their site in Arbroath. NTG’s committed team of 50, produce gears, shafts and bevels on the latest CNC machinery to the highest quality standards. ISO registered, NTG supply parts into all facets of industry: Renewables, Mining, Marine, Oil and Gas, Printing, Material sizing, Motor sport, Quarrying, Pumps, Steel processing, Defence, Railways and Craneage. 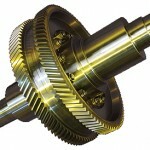 In fact any industry that needs gears and transmission parts can rely on NTG to supply parts to exacting standards. Northern Tool & Gear has full CNC gear checking facility and an on-site heat treatment facility, including quench pressing of bevels, to allow total quality control of all projects. We value our customers and provide ongoing technical support, project management and tooling options, helping to build a strategic partnership to meet our customers’ precision gearing needs. We also provide a reverse engineering /re-build service to allow worn or obsolete parts to be economically manufactured to increase the life of existing transmissions.